Baking Season marks the beginning of Holiday Season and some days my oven works extra hours for me. To pay back to electricity Gods, I utilize my running (heating) oven to its fullest. 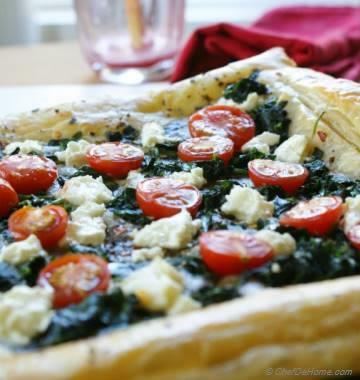 Mostly, when you see a cake or cookie recipe here, it will be followed by a quick (or complex sometimes) oven baked snack. 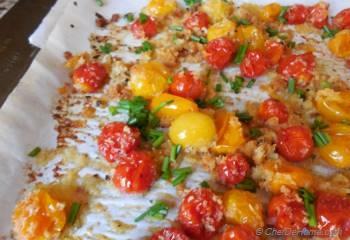 While I was baking some Puff Pastry last weekend, I roasted these cherry tomatoes with olive and breadcrumbs for a quick, healthy, delicious side. Not just a side, a very good dip and chip idea too. 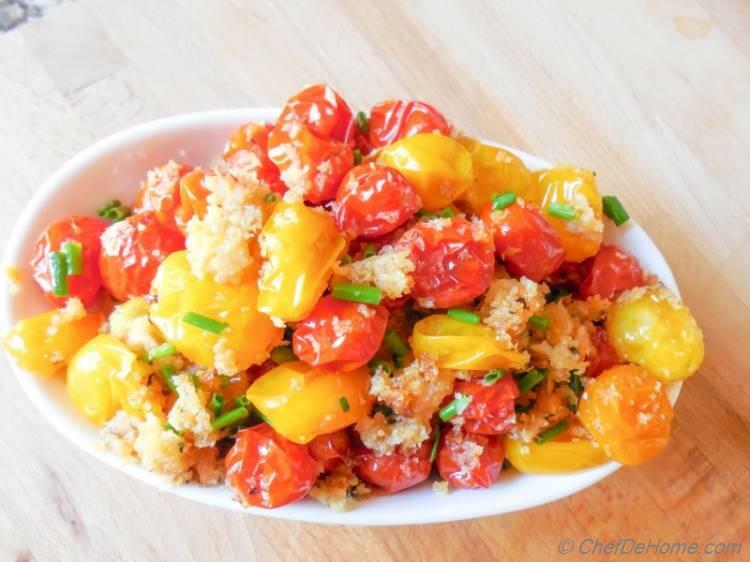 I got idea for this excellent side dish while reading Mario Batali’s Oven Dried Cherry tomatoes recipe at bookshop last year. 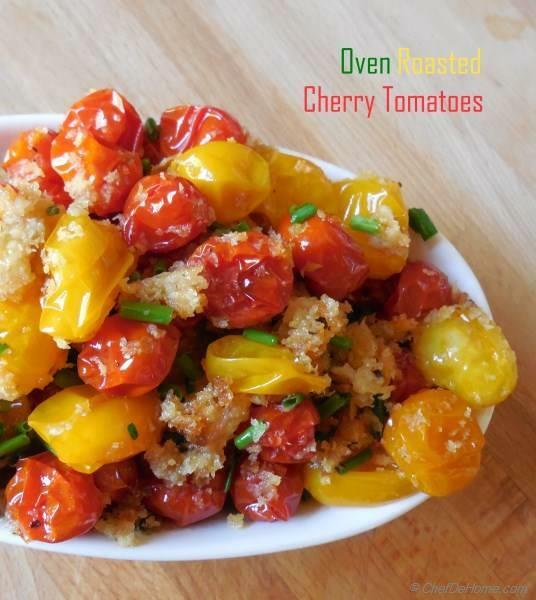 He suggests to oven dry tomatoes with breadcrumbs low and slow for an hour or so, but when I made this recipe, I was in oven utilization mode, so I roasted cherry tomatoes at 410 degrees F for 15 minutes for this quick side dish. You can try both ways and let me know which one works for you. 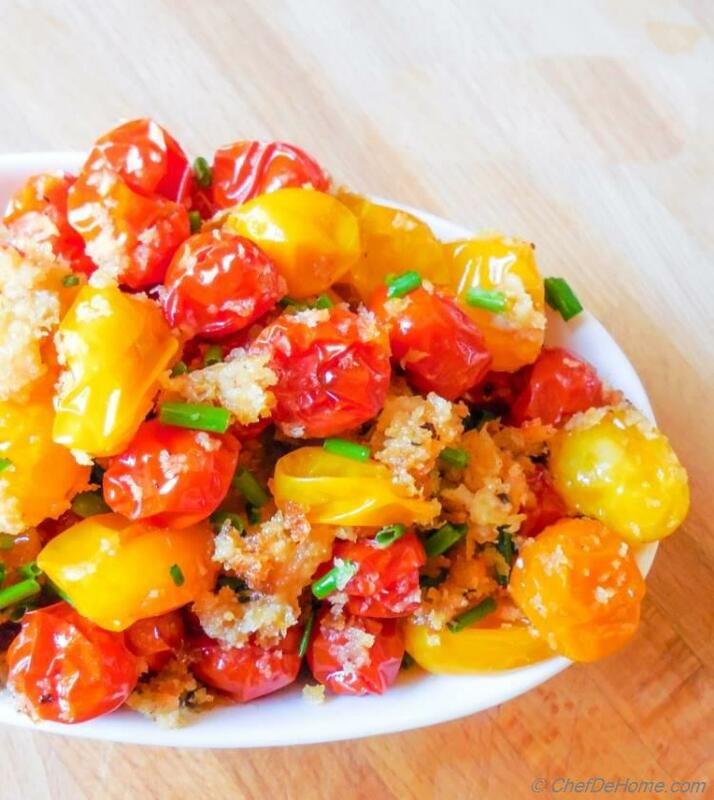 Smart Swap Skip bread crumbs and add some walnuts for crunch to make this gluten-free. 1. 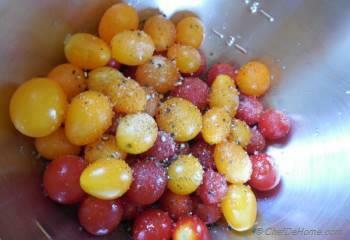 Mix - In a bowl, add cherry tomatoes, olive oil, salt and pepper and toss well to combine. Also, preheat oven at 410 F.
2. 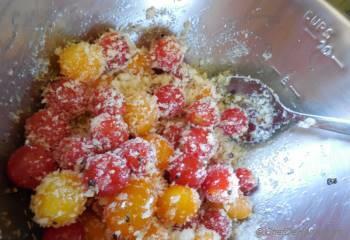 Mix again- Add breadcrumbs and toss well once again. 3. 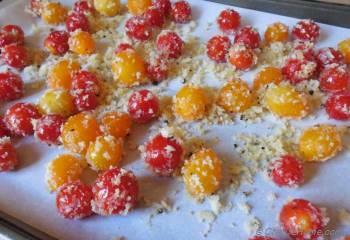 Spread - Spread evenly on a baking sheet lined with parchment paper. 4. 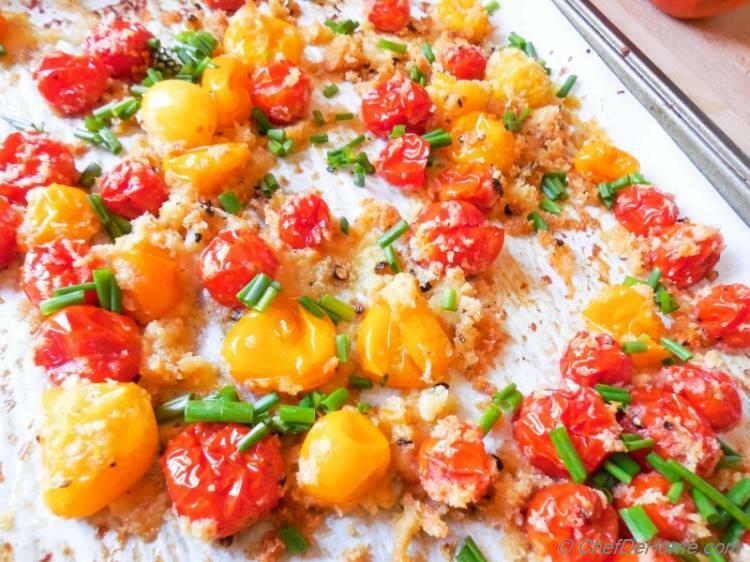 Bake - Bake for 15-20 minutes, (remove from oven and stir once after 6-7 minutes) till bread crumbs are golden and crispy and tomatoes skin has started wrinkling a bit. 5. 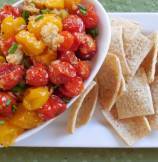 Serve - Sprinkle chopped garlic chives and serve as a side with grilled meats or lemony couscous. 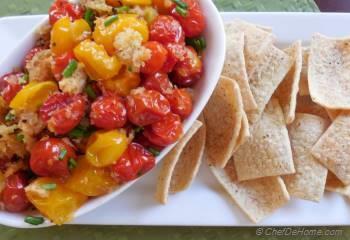 Or serve with a bowl of lentil chips. 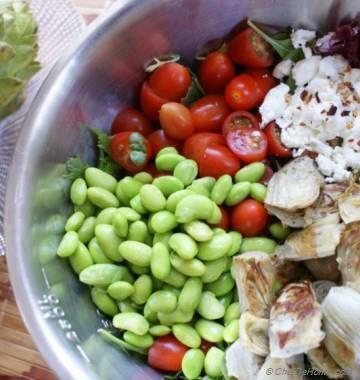 Savita, You have good recipe collection, keep up the good work. 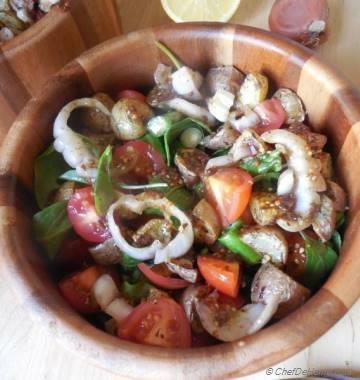 yummmy, we eat roasted tomatoes in various ways in Italy and this one looks delicious.